Who Steps In After Alamo Management Shakeup? The state's decision to cut ties Thursday with the longtime managers of the Alamo left some wondering what the monument's future holds. Even as some officials commended the state's decision Thursday to cut ties with the longtime caretakers of the Alamo, they grappled with a question that has not required an answer for more than a century: Who will manage the monument? It's a newfound uncertainty that the General Land Office has promised to resolve over the next four months as it searches across the country for a management company to replace the Daughters of the Republic of Texas (DRT). On Thursday, the land office fired the women's ancestry organization, accusing it of not holding up its end of the bargain to maintain the state-owned Alamo. To elected officials who have watched the state increasingly sideline the DRT, the shakeup was hardly a surprise. Still, it has left Alamo watchers with no shortage of questions, chief among them in whose hands the monument will end up as the land office prepares to issue a request for proposals. "The people of Texas would feel much better if Texans managed the Alamo," said U.S. Rep. Joaquin Castro, calling for a "transparent and competitive process" to pick the next managers. "The state has a horrible record of bloated, no-bid sweetheart deals to friends and cronies," added Castro, a San Antonio Democrat. Jim Suydam, a land office spokesman, insisted the move will not result in the "privatization of the Alamo," a prospect raised by Castro and others. Suydam said the next management company will have two layers of oversight to keep that from happening: the newly re-organized Alamo Endowment Board and the land office itself. On Friday, Bexar County officials were quick to praise the DRT for all the time it volunteered over the years. Underneath the laudatory remarks, though, there was a sense of inevitability — and, in some cases, relief. "For many years, we've seen the state take a more engaged role in oversight of operations at the Alamo," said former state Rep. Mike Villarreal, a Democratic candidate for San Antonio mayor. "We've all been watching this story unfold since 2011." It was then that the Legislature transferred direct control of the monument to the General Land Office, leaving the DRT to handle the day-to-day operations. The DRT's standing with state officials hardly improved a year later, when the attorney general's office put out a report finding the group was failing to preserve the monument, misusing funds for its own benefit and misleading the Legislature in the process. Land Commissioner George P. Bush, who took office in January, has quickly sought to set the Alamo on a new path, building on legislative efforts to clean up its management. He tapped Becky Dinnin, a San Antonio Chamber of Commerce vice president, to serve as director of the Alamo, a position that ensures the GLO has a full-time advocate working at the monument. Bush also has revamped the Alamo Endowment Board in hopes of turning it into a "fundraising powerhouse," stocking it with big-name philanthropists such as Ramona Bass and Red McCombs. Calling the Alamo his agency's "highest priority," Bush last month told Senate budget-writers a recent report by Texas A&M University confirmed "what many Texans already know: this important shrine is deteriorating before our very eyes." He wants $5 million from the Legislature to keep things from getting worse. On Friday, DRT President General Ellen McCaffrey acknowledged the group's role with the Alamo has been diminished over the past few years. She sounded long-held concerns that the site would become too commercialized as it slips away from its longtime managers. "It's not Disneyland, and it could become Disneyland if we're not careful," McCaffrey said, lamenting that "politics have played a role in everything that has happened in the past four or five years." Not everyone was as skeptical of Bush's move Friday, hailing the shakeup as a necessary step in getting the Alamo into tip-top shape, both financially and physically. To them, preserving the monument trumps where the next caretakers are from. State Sen. José Menéndez said he does not care where the next managers are from as long as they get the job done, likening it to if "Apple Computers ran shrines and they were the best in the world" but still based in Silicon Valley. "I think it's a mistake not to want to have the best," he added. "[The next managers] may be out-of-state, but they know how to manage historic museums and historic sites," said former state Sen. Leticia Van de Putte, another Democratic mayoral hopeful. "Their expertise is in those type of hallowed grounds." "Understand that the GLO still calls the shots," Van de Putte added, expressing confidence Bush will "stay right on top of" the process of selecting a new management company. Among those not exactly celebrating the news: the office of state Sen. Donna Campbell, the New Braunfels Republican who has authored legislation that would prohibit foreign control of the Alamo. The bill came in response to the monument's nomination for a designation by the United Nations, the organization that evokes mistrust among some conservative lawmakers. Campbell was unavailable for comment Friday, but her spokesman Jon Oliver said the senator "feels her bill has added relevance" now that the General Land Office is looking for a new management company. "We are literally talking about a war memorial," Oliver said. "You don't want an international organization managing your war memorial." Bush's office said Friday the termination of the DRT contract does not open the Alamo to any kind of control by an entity based outside the country. 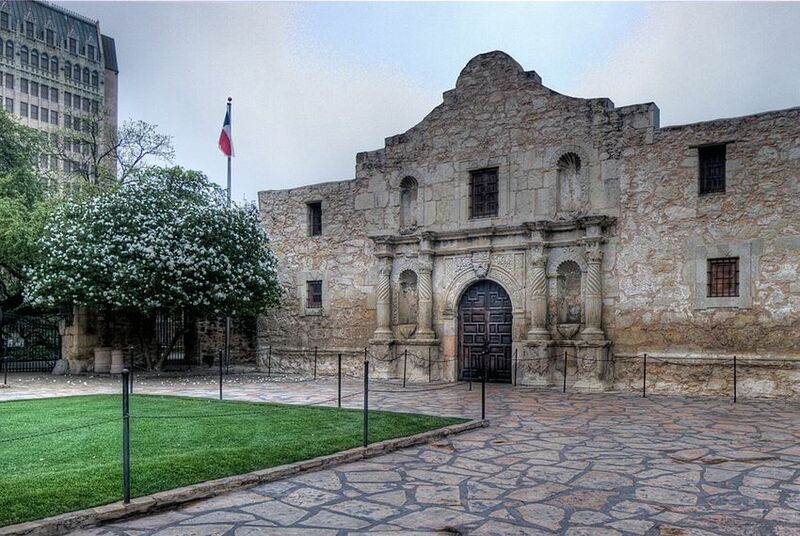 State Sen. Carlos Uresti is among those who have expressed skepticism about the need for Campbell's bill, saying it could hurt the Alamo's bid for World Heritage status through the United Nations Educational, Scientific and Cultural Organization. On Friday, the San Antonio Democrat sided with Castro in emphasizing the importance that the next managers of the Alamo "understand Texas history and its culture and its people." "I'm not saying another company couldn't do it, but it's a top priority" they are from the Lone Star State, Uresti said. "Surely there's a company in Texas that can do it."